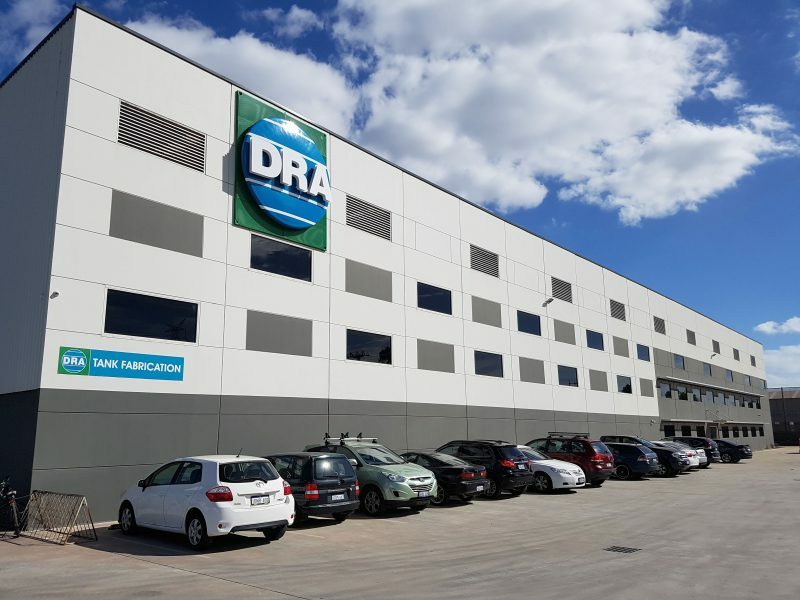 DRA was formed in 1971 and began operations in Melbourne, Australia as an anti corrosion coating company servicing the chemical, petroleum processing, oil and gas facilities both onshore and offshore and infrastructure projects.  Initially only site projects were undertaken in Australia, New Guinea and New Zealand. Later permanent coating plants were built in Brisbane, Darwin, Adelaide, Melbourne and Perth giving the company a processing capacity of 20,000 tonne of steel per year. Due to changes in the market DRA moved into other industries. 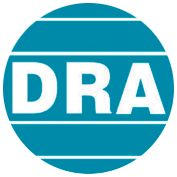 1984: DRA acquired Construct Engineering (renamed DRA Engineering) a company specializing in design and build of sheep and cattle abattoirs, material handling systems and purpose built machines.DRA built abattoirs in India, Botswana, Italy, Ireland, New Zealand and Indonesia. Specialized pelting machines have also been exported to various countries. 1996: DRA launched the design and build of mobile Pick & Carry (P&C) Cranes, to be later known as Humma Cranes. Humma are the technical leaders in P&C Cranes with their 55T model being the largest capacity P&C articulated crane in the world. 2001: DRA recruited personnel with experience in the design and build of steel tanks and became a member of the Steel Tank Institute of USA. Soon after DRA acquired licenses to build Permatanks(steel/FRPjacket underground tank), Flameshieldtanks (2 hour fire resistant tank), Fireguard tanks (4 hour fire rated insulated tank) Gentank(fuel tank base for generators) and interceptors (collection of oily water from car parks). 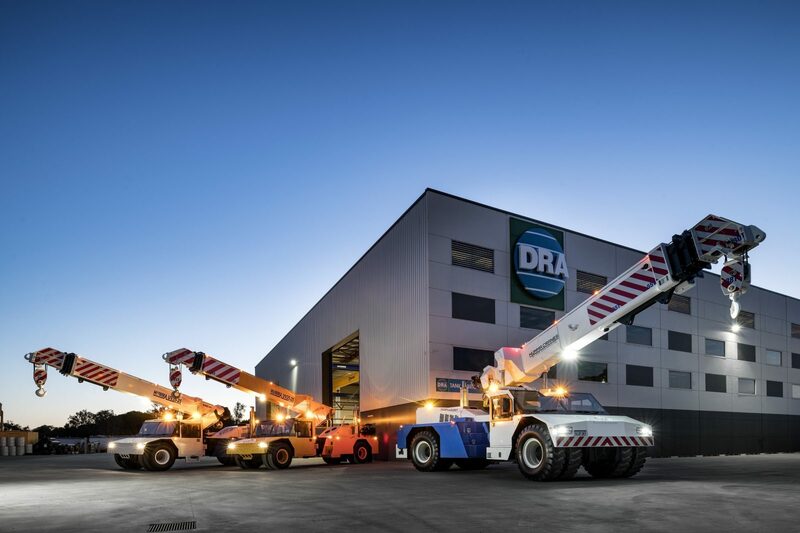 2003: DRA has centralized its manufacturing, construction and R&D to Perth servicing the Australian and overseas market. 2017: Formation of DRA Fire Services to service a range of industries with new technology low maintenance fire supresion systems. DRA opreates from an 80,000m^2 site in Jandakot, Western Australia. The facility incorporates 3 factories with a total of 15 over head cranes up to 16T capacity. Its location close to major transport links and the port of Fremantle make the site easily accessible for projects around Australia.